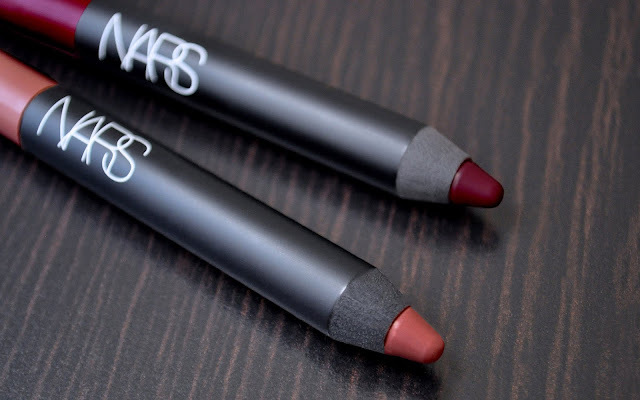 As a lover of the Velvet Matte Lip Pencils, I was thrilled when NARS included 14 all new (but not original), exclusive shades within four different sets last holiday. I've been meaning to catalog and post swatches of all my Velvet Matte Lip Pencils (among everything else in my collection), so I thought I would start with the ones I have been using recently. First up in these jumbo pencil wonders: the Chaos Velvet Matte Lip Duo, Decibel and Zipped. From left to right: Decibel, Zipped. Decibel: a warm toned, muted mauve-tinged, rosy-brown. 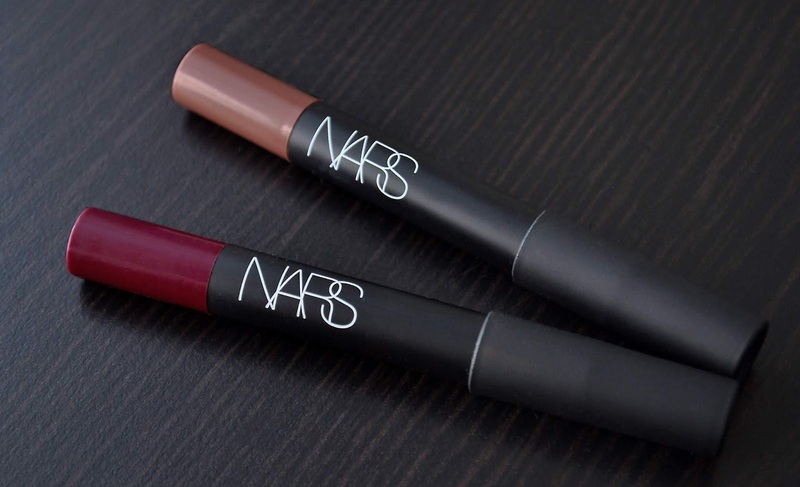 Zipped: a cool toned, muted berry. 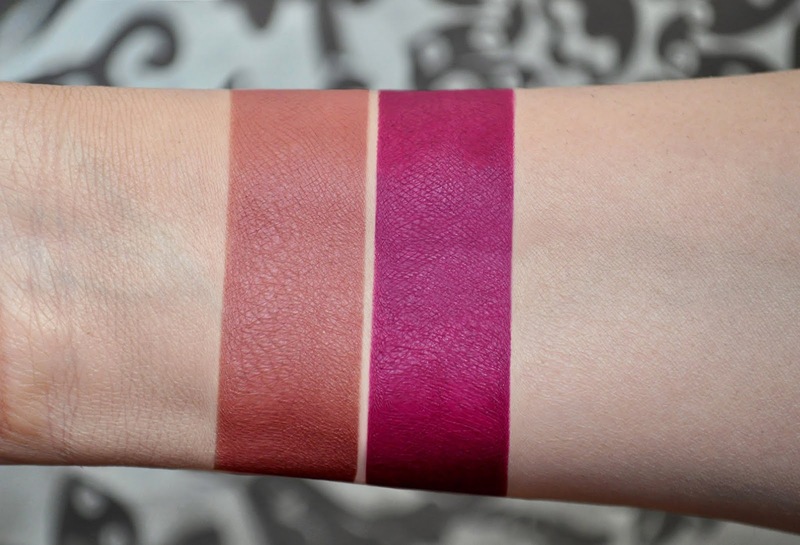 Decibel and Zipped have the same velvety texture, seamless opacity, effortless application, comfortability that stays put, without drying out my lips. Aside from wearing Decibel and Zipped monochromatically, I love pairing them together. With Decibel all over, and Zipped applied to the inner part of the upper and lower lips, they create a beautiful reversed ombre lip that's perfect for Spring. Luckly, both shades have made a smooth transition into Spring because I love them, and I don't want to put them away. What are your thoughts on Decibel and Zipped?